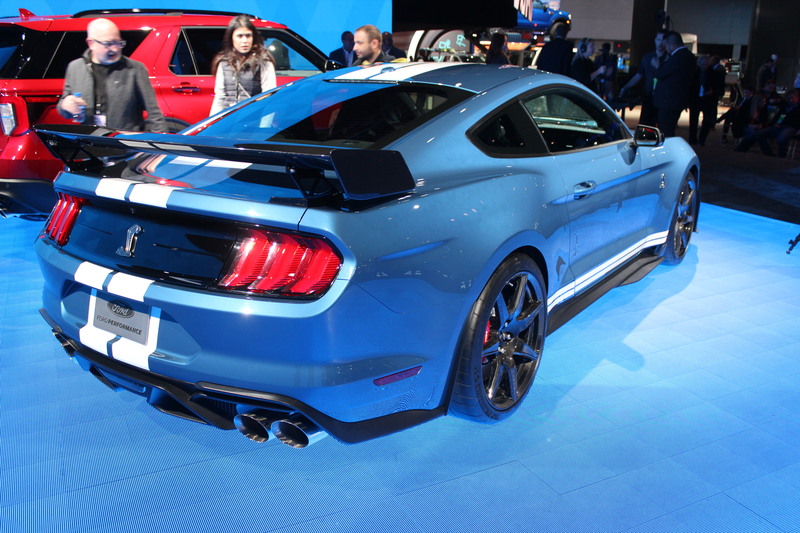 If you’ve felt a bit of a vacancy inside ever since the Mustang GT500 left us in 2014, fear no more; the latest incarnation is here, and it packs a punch like no other production Mustang before it; heck, it packs a punch like not other production Ford before it, and that includes the GT supercar. 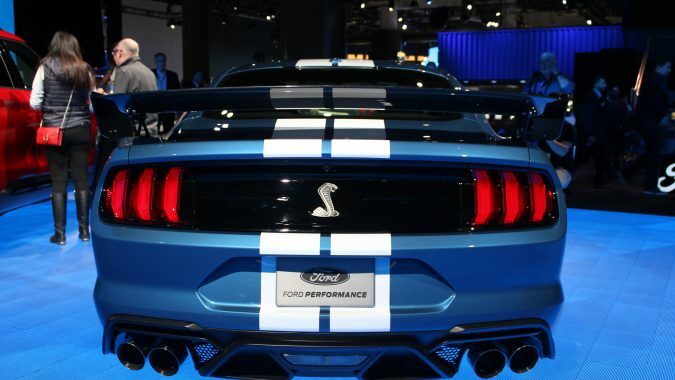 No official power figures have been announced, but expect 700-plus horsepower and likely equal amounts of torque. 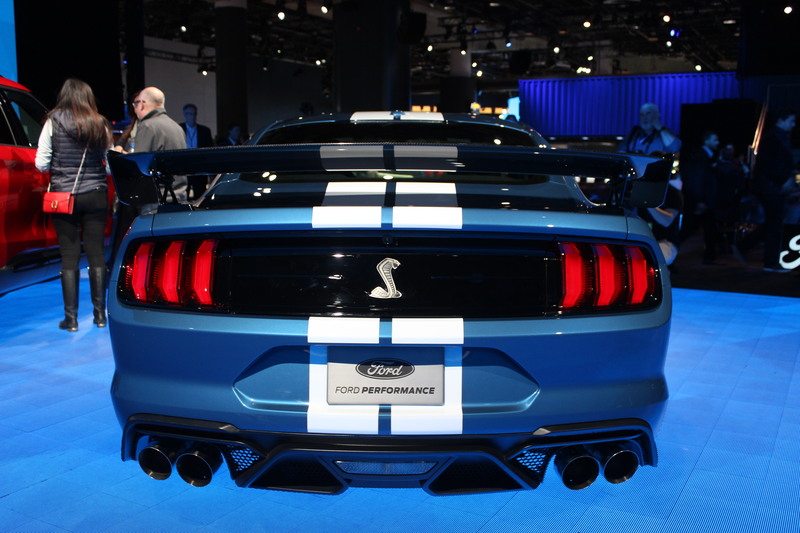 Enough, Ford claims, to complete the ¼ mile in less than 11 seconds at 130 mph. That’s some serious stuff that’s taken some serious engineering. So what did Ford do? 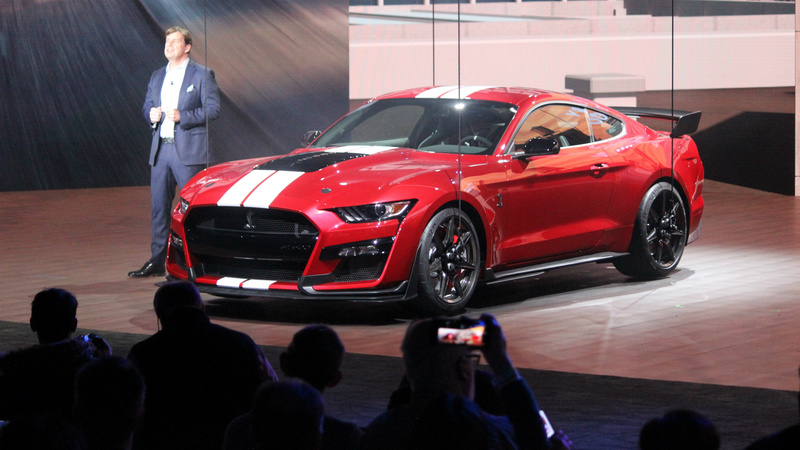 Well, they turned to the same folks that helped develop the Le Mans class-winning GT racer, as well as the Mustang GT4 racer. 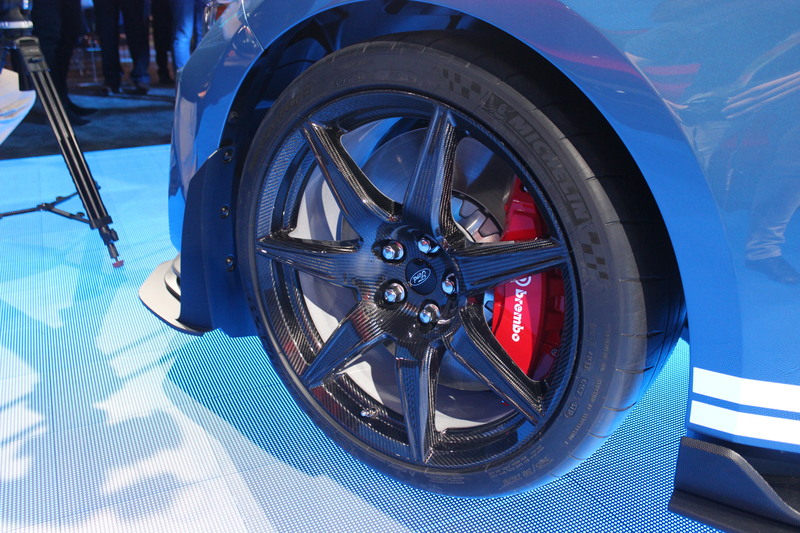 That know how has provided hand-built engines with aluminum components, including the block, standard magnetic ride dampers and a race-tuned 7-speed dual clutch automatic. 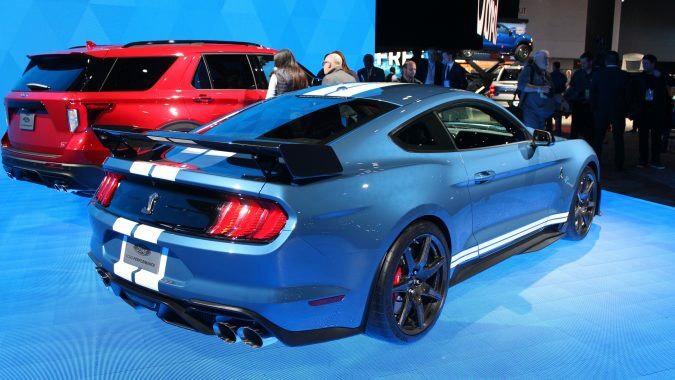 Yes, that’s correct: there is no manual option, but Ford maintains that this latest GT500 is built to work on the track, and the best way to deploy that much oomph on the track is through an automatic transmission. 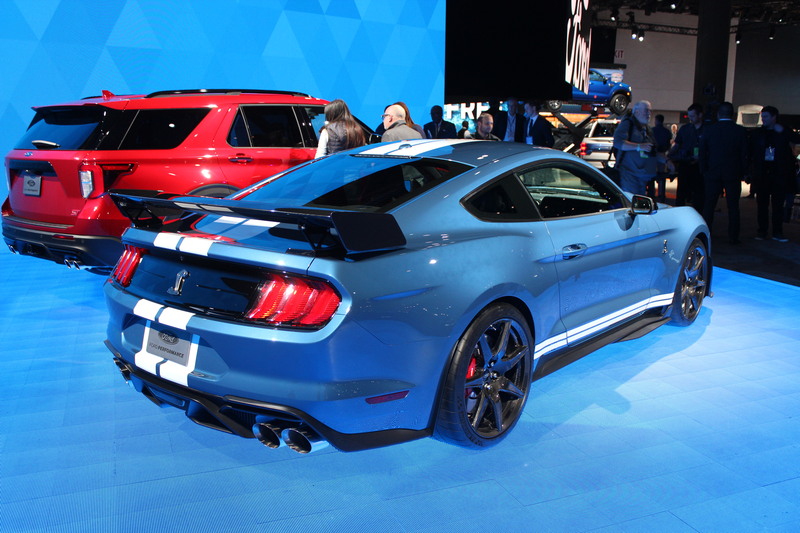 There are a set of paddles, of course, cast from magnesium and built larger than the items offered on the Mustang GT, for quicker, easier access when on-track. 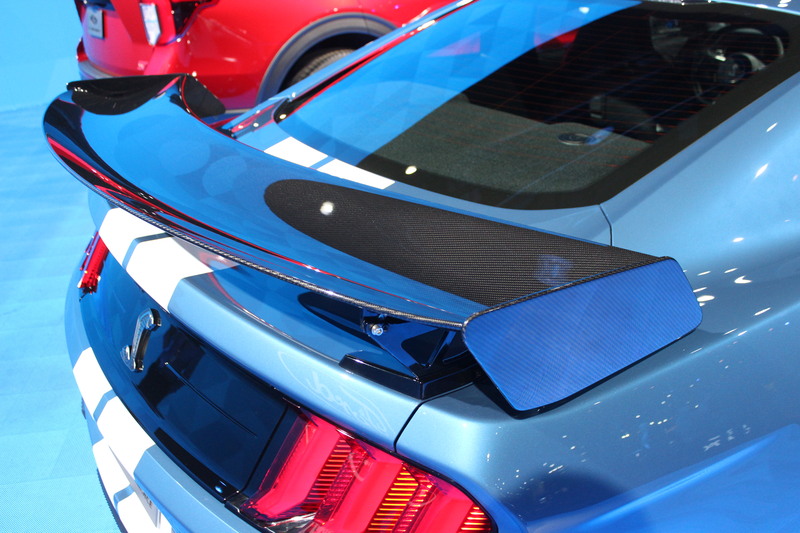 You may thing the Dodge Demon was target #1 for Ford, but the way the Ford peeps were talking, it seems the Chevrolet Corvette ZR1 is the real target. 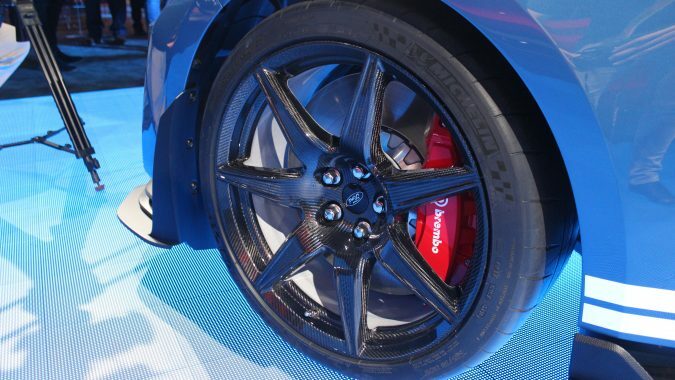 Also helping in that regard are options like carbon-fibre wheels shod with Michelin Pilot Sport Cup 2 tires, huge 420 mm two-piece Brembo rotors and functional aero addenda in the form of an adjustable carbon fibre rear wing and integrated front dive planes. 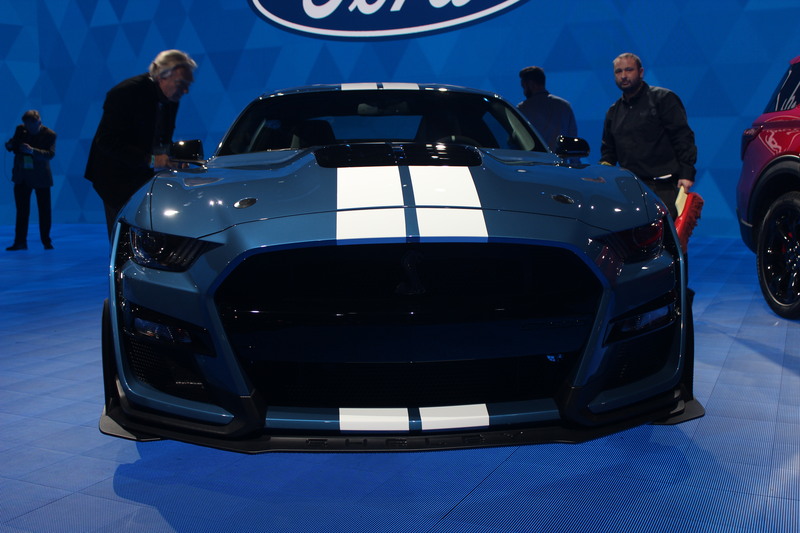 The grille opening has been increased in size to help cool the big 5.2L V8; it gets 50 percent more airflow through than does the GT350. 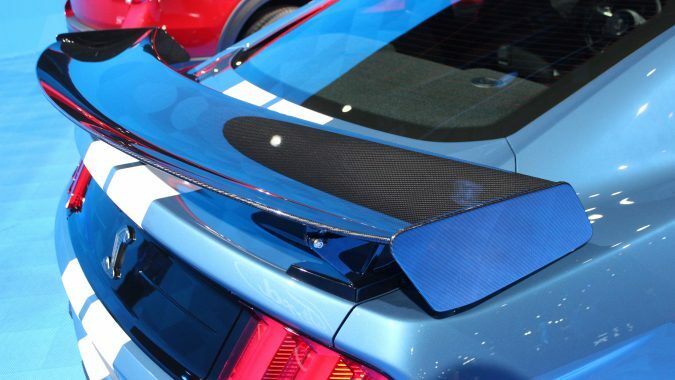 Inside, you’ll find standard SYNC3 infotainment, alcantara suede on the seats and steering wheel and optional carbon fibre plating on the centre stack. Really, though, with an engine this big, this much claimed grip and a transmission this quick, who cares about your onboard computer? 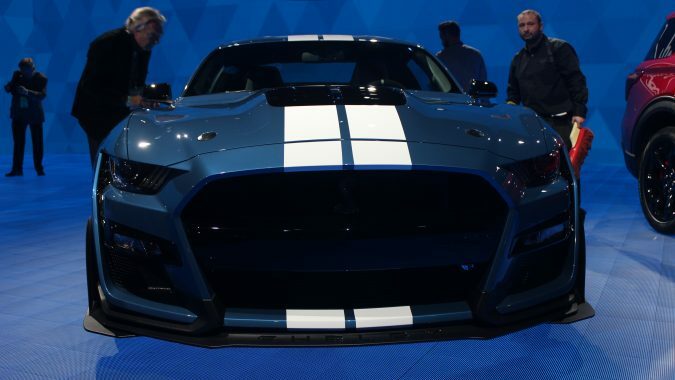 The 2020 Shelby GT500 arrives in dealers this fall.